After adding the TMB SUBS the standards darken too quickly, and/or why are the O.D. readings high? More enzyme-conjugate added than required (increasing the concentration of HRPO), which causes the color to darken excessively. When adding the enzyme be sure to wipe the out side of pipette tip to remove excess enzyme coated on the outside. Before adding enzyme-conjugate to conjugate diluent, be sure to mix enzyme thoroughly by pipetteing couple of times. H2SO4 stop solution was not added early enough as directed. Inadequate washing of the wells. Always use distilled water for washing. After adding the TMB SUBS why are the standards not darkening, and/or why are the O.D. readings low? Less enzyme-conjugate added to the diluent. When adding the enzyme be sure to rinse pipette tip in the diluent to remove all of the enzyme coated inside pipette tip. Contents of the wells are not incubated for the time directed in the insert for the appropriate VitaKit®. Always use distilled water for washing the wells. Ensure your lab follows proper storage instructions ex: (store at 4�C in a fridge). Kit may have expired, check expiry date. There may have been contamination. Always use aseptic techniques when opening and removing reagents from containers. Keep the plate covered except when adding reagents, washing. 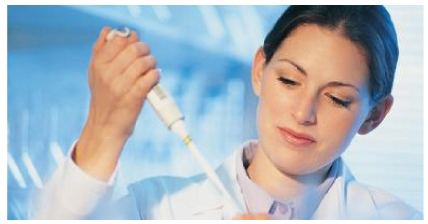 Always use different pipette tips for each reagent, calibrator, control and sample. When pipetting do not allow the pipette tip to touch any of the reagents already in the well. Why is there precipitate in the extracts from sample? Adequate care should be taken while removing the upper organic layer. Make sure that the layers have separated completely or else centrifuge again. When pipetting the upper layer be sure not to touch the inside walls of tube and to only allow the pipette tip to touch the surface of upper layer. Why is there variability with duplicates? Unequal volumes added to the wells. Be sure to pipette all 10ul into bottom of well. Interruption during assay set-up. Have all reagents prepared before assay set-up commences. Inadequate aspiration during washing. The wells should be aspirated and blot dried before and after washing. Tap out excess liquid in wells before adding substrate. Add substrate immediately to the wells once the excess wash buffer has been removed. If using an automated washer, ensure the machine is aspirating correctly. Why is there no displacement with standard curve? The plate was not rinsed properly, be sure to completely rinse the plate the allotted number of times while not mixing wells. Standard may have deteriorated or kit has expired. If kit has not expired contact SciMed with lot number, date of expiration and OD readings. Does the monoclonal antibody recognize both salts, palmitate and acetate Vitamin A? Do the Vitakits® provide reproducible quantification of vitamins at high levels? Ex: at or about 600 IU/100g of Vit D and/or 1000IU/100g of Vit A in powdered milk? Yes, the VitaKits® can give quantitative results at high levels of Vitamins A & D.
Are they useful for vitamin concentrates or premixes? Is it normal for the standard curve to be different from the insert? Prepare a standard curve for each run. Do not use data from�the insert or previous runs.